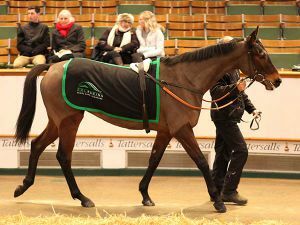 The Tattersalls December Mare Sale came to close on Thursday with lower prices but plenty of competition for the fillies and mares on offer. 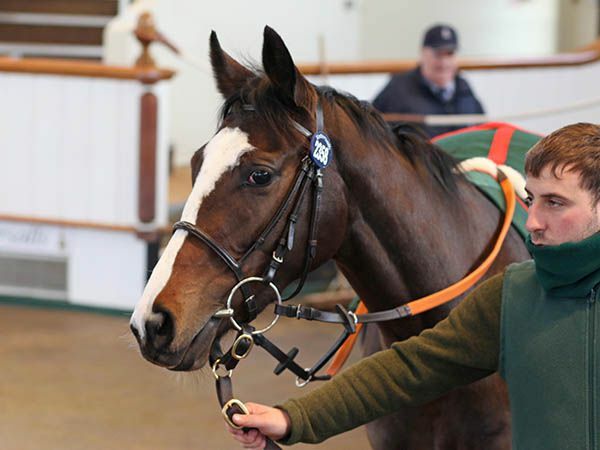 The final session saw a total of 124 lots sell for 656,400 guineas with a clearance rate of 73%. This took the four-day December Mare Sale turnover to 68,315,300 guineas for the 675 lots sold, a rise of 53% on last year’s corresponding sale whilst the average and median were returned at 101,208 guineas and 25,000 guineas respectively. The two week long December Sale incorporating Yearlings, Foals and Breeding Stock returned turnover of 105,255,000 guineas whilst the annual turnover for Tattersalls was a remarkable 331,489,750 guineas, up 25% on last year’s record-breaking turnover. It was a case of saving the best until last on the final day of the Tattersalls December Mare Sale with the four-year-old DARK ANGEL mare ANGELICAL, the last lot to go through the ring at Tattersalls this year, being knocked down to Bill Dwan for 35,000 guineas. The filly, who was in training with Mark Loughnane, is a half-sister to the Group-winning pair HARLEM SHAKE and TROPICAL PARADISE. "She is for a friend who was looking for a well-bred filly - he has headed home and left me in charge!" ANGELICAL was consigned by DML Racing and owner Mark Brilley was on hand to see his filly sell. "She has made three-times her purchase price so we are very pleased," added Loughnane. 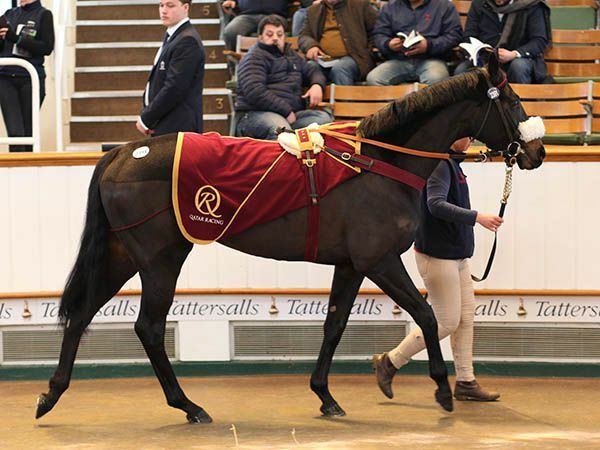 The next two lots sold for 30,000 guineas apiece, the first of which was the two-year-old filly COOPERATE who was purchased by California-based trainer Edward Freeman. The daughter of EXCELEBRATION was placed three times from four starts in France for trainer Eoghan O’Neill and was consigned to the sale by The Castlebridge Consignment. She was followed by the HARBOUR WATCH filly CAPE TO CUBA who was knocked down to Saudi Arabian owner Khalid Mishref. "I bought five foals last week, and they will go to board with Ted Voute, but this filly will be coming to Saudi Arabia. I think she will suit the racing programme and there are some Dirt influences in her pedigree," reported her new owner. CAPE TO CUBA is a half-sister to the Listed winning Group-placed MABAIT and was trained by locally based trainer James Fanshawe. “The 2017 Tattersalls December Sale will live long in the memories of the huge number of people who have all contributed to another outstanding sale here at Park Paddocks. The cumulative total December Sale turnover of more than 105 million guineas is a new record for this historic sale and brings an extraordinary year at Tattersalls to a fitting conclusion. The demand for quality bloodstock at Tattersalls has been unprecedented throughout 2017. Every single Tattersalls sale this year has achieved record figures and last year’s best ever annual turnover of 265 million guineas has soared to a truly remarkable 331 million guineas. “Individual highlights have come thick and fast throughout our Autumn sales season. The 4 million guineas October Book 1 sale topper was the highest price for a yearling in the world this year and was followed by record top prices at Book 2 of the October Yearling Sale and the Autumn Horses in Training Sale. Nothing, however, compares with the pure theatre of the Tuesday evening session of this week's December Mares Sale. All of us lucky enough to have witnessed and participated in such a spectacular sale will have memories to treasure. Each of the eleven fillies and mares who sold for 1 million guineas or more was exceptional, but the new European record of 6 million guineas for the dual Group 1 winning filly MARSHA was genuinely unforgettable and a wonderful reward for the Elite Racing Club, her trainer Sir Mark Prescott and all associated with such a special race filly. “Equally memorable was the final episode in the history of the Weinstock family's legendary Ballymacoll Stud, appropriately played out in front of a packed sale ring. We have been immensely proud to have conducted the dispersal on behalf of the trustees of Ballymacoll Stud. In its rich 58 year history Ballymacoll Stud has achieved greatness and the success of the dispersal was a magnificent tribute to an impeccably run and uniquely successful breeding operation. “Wider tribute should also be paid to each and every vendor and purchaser, all of whom have made important contributions. We recognise that not every sector of the industry is flourishing, but we continue to explore as many overseas markets as possible and we are enormously grateful to everyone who has helped to make the 2017 December Mares Sale a record breaking renewal. We knew that we had a catalogue of real depth and quality, but we could still not have predicted the extraordinary global demand that has been the feature of the week. The Tattersalls December Sale has long been regarded as uniquely international and buyers from every continent in the world have yet again shown that the finest European bloodstock continues to be held in the very highest esteem."